One of the best things about a road trip is that it affords you the flexibility to alter you itinerary and seek out those cool off-the-beaten-path finds. It’s a great way to really explore the country and mingle with the locals. And that’s exactly what we did in Southern Louisiana, when we hopped off interstate 10 between Lake Charles and New Orleans. Not only did we get a heaping dose of Cajun culture, but we also discovered some very accessible rural attractions. Although it’s not exactly off the beaten path, we decided to overnight in Rayne, Louisiana. After all, it’s hard to pass up the frog capital of the world. Although it boasts a population of just under 8,000, we were able to find some very accessible accommodations at the Best Western Rayne Inn (337-334-0060). Located just off the interstate, it’s perfect for a road trip, with room rates that are very easy on the wallet. There’s plenty of accessible parking in front, with barrier-free access to the entrance. Inside, there’s good pathway access to all of the public areas. The accessible guest rooms have wide doorways, lowered peepholes and clothing rods, and wheelchair-access on both sides of the beds. The accessible bathrooms are equipped with a roll-in shower with a fold-down bench or a tub/shower combination with a portable shower bench. Both accessible room types also feature hand-held showerheads, grab bars in the shower and toilet areas and roll-under sinks. A free breakfast is included in the room rate. Additionally, the property is located right next door to the Frog City Diner, which features level access and offers a full menu of Cajun specialties. And if you happen to be passing through town in November, then make plans to attend the Rayne Frog Festival (337-366-2884. raynefrogfestival.com). It’s held at the Frog Festival Grounds, which offers plenty of accessible parking, with level access to the festival grounds. Highlights of the three-day festival include a parade, arts and crafts booths, live music and food. Don’t miss the frog racing and jumping contests, and of course, the best dressed frog contest. And if you want to join in the fun but don’t have a frog, no worries — you can always rent one. For a good taste of Cajun culture, make sure and stop at Mc Gee’s Landing (337-228-2384 www.mcgeeslanding.com) in Henderson, Louisiana, just a short drive down the road. To be honest, half the fun of this stop is actually finding the place. First and foremost, do not use your GPS as it will lead you astray. From Interstate 10 take exit 115, then go south on Highway 347 and east on Highway 352. Now here’s where it gets a bit tricky. Turn right on Henderson Levee Road and travel about 2½ miles until you see a sign marking the left turn over to Mc Gee’s landing. The tricky part of it is that the sign is very easy to miss, so keep an eye out for it. The parking lot isn’t paved, but there’s accessible parking on an asphalt slab near the entrance, and ramp access up to Mc Gee’s Bar & Cafe. Inside, there’s good pathway access in the restaurant and gift shop, with level access out to the patio that overlooks the Atchafalaya Basin. The decidedly Cajun menu is chock full of southern staples such as alligator, crawfish etoufee, seafood gumbo, boiled crabs and fried shrimp. It’s a local favorite and you just can’t beat the surroundings. 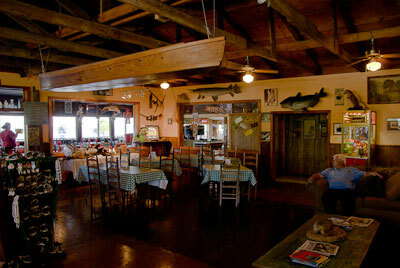 Although the food is great, the highlight of this stop is a swamp tour of the Atchafalaya Basin. 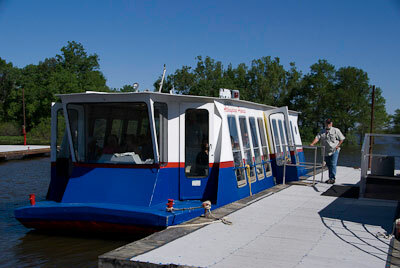 You’ll get a real flavor of the south as you cruise by moss draped trees and hear stories about rural Louisiana life. The boat is not technically accessible, but it’s doable for many slow walkers. Additionally, the folks at Mc Gee’s have a great attitude and they’re always happy to lend a hand. There is a two-inch step up to the dock, but with a little help it’s not too hard to bump up it. There is ramp access to the pontoon boat, but it is only 21-inches wide. Although it’s too narrow for a power wheelchair, it’s doable for many manual wheelchair-users and slow walkers. Be forewarned though, this is a very popular tour, so advance reservations are highly recommended. 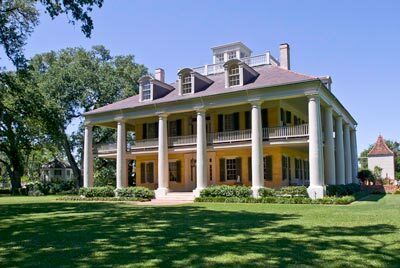 Last but not least, save some time for a stop at Houmas House (225-473-9380, HoumasHouse.com), located in nearby Darrow, Louisiana. This palatial sugar plantation — also known as the Sugar Palace — dates back to 1710; but modern access upgrades have been added to make it completely wheelchair-accessible. Finding it is a piece of cake too. Just take exit 179 off of Interstate 10 and go south on Highway 44 to Highway 942. Take a right on Highway 942, and you’ll find Houmas House about a half-mile up the road on your right. You can’t miss it. One of the best things about this historic home is that there are no velvet ropes separating you from the furnishings. That’s because owner Kevin Kalley actually lives here. So it’s a great opportunity to get a close look at the historic furnishings and other treasures. There’s plenty of accessible parking, with level access to the gift shop; where you can buy mansion tour tickets. From there, there’s level access to the 38-acre garden, filled with ponds, sculptures and some of the largest oak trees I’ve ever seen. The accessible restroom is located behind Cafe Burnside, and the pathways through the garden are wide and level, with lots of benches to rest along the way. The mansion boasts ramp access, barrier-free pathways and an elevator. The tour is fascinating, as it’s sprinkled with tid bits of local history. 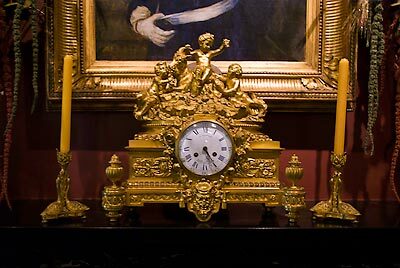 And everywhere you turn there’s something unique; from the massive three-story spiral staircase, to a clock once owned by Marie Antoinette. And if that isn’t enough, Houmas House even served as the filming location for Hush Hush Sweet Charlotte; and the preserved room where Betty Davis stayed is also included on the tour. Plan to spend the whole afternoon here, so you have time to linger in the beautiful gardens. And if you’d like a bite to eat, Cafe Burnside features level access and serves up sandwiches, southern favorites and salads for lunch. 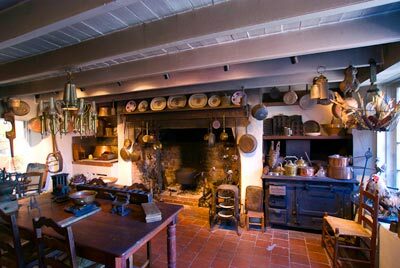 A visit to Houmas House is like stepping back in time, but with all the modern access upgrades of this century. 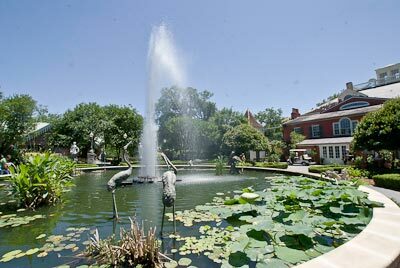 And since it’s just 60 miles from New Orleans, it’s also a very doable day trip from the Big Easy. ‹ Should I Get Upgraded? › Are Airlines Required to Stow my Wheelchair in the Cabin?